“… the tendency to avoid Beckett in Irish studies is as strong as the urge to incorporate him. He has often been seen as insufficiently Irish (linked to the claim that he is insufficiently political) or as leaving all Irish interests behind on his elevation to a transcendent imaginative space” (McDonald 38). Any reading of Beckett solidifies the validity of this assessment. Beckett, one of the most influential writers of the twentieth century was, among other things, a bit of a Universalist. He seldom confined his dramatic writing to simple commentary on societal issues or politics. Nor did he use the stage to pay homage to Ireland, his homeland. Ireland holds a prominent position in the works of other Irish authors of the era, such as Lady Augusta Gregory, John Millington Synge and W.B Yeats. However, in his writing, Beckett creates environments in which his characters lack identities dictated by any one culture or worldview. The futility of cognition and subsequent failure of language as a communicative tool is prevalent throughout many of his plays. For example, in Waiting for Godot; arguably his most successful drama, he creates an emotionally rich atmosphere endowed with philosophical attributes that enables his audience to delve into the vastness of human ignorance, and the ineffectiveness of our attempts to construct meaning. This approach to creating theatre, which is what makes Beckett so prolific, poses a challenge for scholars seeking to determine the extent to which he contributed to Irish dramatic literature. Does writing about subjects that transcend national and cultural confines make Beckett less Irish? Is examining his work within a national, societal and cultural context significant? Here, I will explore the standards with which Irishness and non-Irishness are measured as they relate to Beckett’s categorization in the Irish literary canon. I will elaborate upon the conflict between Beckett’s individuality and aspects of Irish nationalism, in an effort to demonstrate that the Irish experience isn’t collective and that Irish playwrights should be free to expound upon, supposedly, non Irish subjects without relinquishing the inclusion of their work in the realm of Irish dramatic literature. Furthermore, I will examine inherent notions of Irishness underlying the Irish Literary Revival and manifesto of 1897, which influenced Beckett’s relationship with Ireland and his writing. In many Irish anthologies and literary journals, Beckett’s Irishness is reaffirmed, in others it is diminished. In Transitions: Narratives in Modern Irish Culture, editor Richard Kearney says that Beckett’s interest in “ . . . the universal concerns of Western humanistic culture outweigh his concern for Irish history and tradition” (McDonald 38). Historians, such as Declan Kiberd, argue against this, saying that the lack of Irish material in Beckett’s work is what makes him most Irish, because Irish references have generally been polluted by “colonial mis-apprehensions” (38). Kiberd feels that Beckett’s Irishness is rooted in his victory over the confines of Irishness itself and says of the characters in his plays; “ . . . [t] heir surroundings seem decontexualized because they represent a geography which has been deprived of history” (10, 42). Journals like Irish University Review (1986) and Hermathena, as well as Elion O’ Brien’s The Beckett Country (1986) and John P. Harrington’s The Irish Beckett (1991) have all attempted to emphasize Beckett’s Irishness (McDonald 36). In Vivien Mercier’s The Irish Comic Tradition, Beckett is linked with Gaelic poets and prominent Anglo-Irish authors. Other critics such as Seamus Deane and David Lloyd have also found ways to incorporate his plays into the Irish literary canon. The reasoning behind their quest thrives off the notion that academic analysis of Beckett’s plays fail to identify the Irish elements within them; such as the sense of powerlessness his characters possess, their inability to communicate with language and his use of minimalism (Morin 6). Some historians believe that these aspects are linked to Ireland and its history, though Beckett has never confirmed nor rejected this. Arguments seeking to reaffirm Beckett’s Irishness must acknowledge the grounds for his marginalization, such as considerable differences between his work and that of other Irish authors, his bilingualism and his close association with the European avant-garde. Deane notes that in the work of other writers such as James Joyce, there is evidence of a historical context, but in Beckett’s, a transcendence of both context and history,” suggesting that even the most impassioned attempt to integrate him into the realm of Irish drama, may be forced (McDonald 33-51). In James Mays essay: Irish Beckett: A Borderline Instance, the author probes elusive demonstrations of Ireland in Beckett’s early writings, such as Malone Dies. He also expresses a belief that scholarly indifference to Irish aspects of Beckett’s work may be due to resentment over his independence over the confines of Irishness (Morin 33). Mays assessment is significant because it is one of the first publications to address the discrepancy between Beckett and traditional Irish drama without categorizing him as either Irish or simply European. In Samuel Beckett and the Problem of Irishness, author Emilie Morin handles him in a similar fashion, writing, “ . . . he is neither fully Irish nor French, but an Irish author in translation whose work has changing boundaries, depending on the context in which it is examined”(2). Morin believes that Beckett should not be classified as an Irish writer because the term is obsolete. Conversely, the author doesn’t believe that labeling Beckett as a European writer is entirely appropriate, stating “ . . . this alternative configuration of Beckett rests upon theoretical and historical notions that require clarification” (2). Still, there’s something unsettling about saying Beckett was neither one or the other. Nor does it seem fair to say that Ireland was entirely absent from his plays. In order to understand his relationship to Ireland and its possible subtle representation in his work, it is necessary to consider Beckett’s background. Beckett was born in Foxrock, Dublin in April of 1906 and was raised in a very wealthy Protestant family. His artistic development was affected by changes taking place in Ireland, images of political violence, such as the Easter Rising. Attending educational institutions, which were opposed to Irish independence such as Earlsfort House, the Portora Royal School and Trinity Dublin College, aided the development of his talent and exposed him to varying points of view (Wilson, Goldfarb 447-450). In 1928, Beckett spent two terms teaching at Campbell College in Belfast, after which he worked at the Ecole Normale Superieure in Paris (Morin 12-13). When he returned to Dublin, he had become quite disillusioned with what he perceived to be the narrow-mindedness of Ireland’s intellectuals, writing “ . . . [the] intellectual life of the country [may] have come to a standstill due to the harsh censorship laws . . .” (12). This position was also expressed in a 1934 article, titled Censorship in the Saorstat, in which Beckett conveyed his concerns about the impact of government policy on Irish dramatic literature (12-20). This may have been one of his first realizations that Ireland would not be his artistic home. After World War II he made France his permanent place of residence and became increasingly critical of works with nationalistic agendas, like those of Austin Clarke and Thomas MacGreevy, whose inclusions of Irish mythology and Irish culture he found to be too overt. In a letter to MacGreevy in 1938 he wrote, “God love thee Tom, and don’t be minding me. I can’t think of Ireland the way you do . . .” (McDonald 35). Beckett was also opposed to the Irish Literary Revival. Evidence of his disdain can readily be seen in his minimalistic novel, Murphy, in which the central character dictates in his will “ . . .that his ashes are to be flushed down the lavatory of the Abbey Theatre, preferably during a performance . . ..” (33). Beckett was quoted as saying he favored France at war over Ireland at peace (33), words that further indicate his displeasure with his homeland. Still, his background predicts a different kind of playwright. One who, perhaps, isn’t compelled to take up social causes but is still politically motivated. Waiting for Godot, the play Beckett is most frequently associated with, not only demonstrates his unprecedented ability as a dramatist, but also his ideas about what the function of the theatre should be. The so called, tragic comedy in two acts, is about two tramps who meet every day on an empty field to wait for someone called Godot, who never comes. In the process of waiting, the primary characters, Vladimir and Estragon experience immense boredom, which they attempt to alleviate by philosophizing, performing vaudeville routines and discussing seemingly unrelated ideas. The play begins with Estragon sitting on a low mound trying to remove his boot, starting and giving up, he says “Nothing to be done” (Beckett 2). Vladimir soon enters venting: “I’m beginning to come round to that opinion . . . All my life I’ve tried to put it from me . . . ”(2). Later in the scene as Estragon continues to struggle with his boot, Vladimir notes: “There’s man all over you, blaming on his boots the faults of his feet . . .” (4). These lines are indicative of the symbolism and philosophical aspects prevalent in the play. Also, the scarcity of the setting says much about Beckett’s intent on creating something universal. In the script he designates the setting as simply “A country road. A tree” (1); implying that the story takes place everywhere and nowhere. Author Enoch Brater, in The Globalization of Beckett’s Godot, describes the characters in the play as shifting from their locale to one that is global. He suggests that their actions and use of language serve as proof that they possess at least some awareness of the ideas they symbolize. Brater believes that the play exhibits a perspective with a broad cultural, social and political range. Conveying that, in addition to being infused with universal themes, Godot possesses subtle aspects of both multiculturalism and ethnic diversity. The character Vladimir is Slavic, Estragon is considered to be of French and Spanish descent, Pozzo is Italian and Lucky is an Englishman. The mere fact that in the viewing of the play these characteristics are seemingly nonexistent, demonstrates that Beckett believed human nature should take precedence over culture. He made these distinctions between characters in accordance with that notion. Brater attributes the play’s international success to its applicability within in a variety of different cultures, especially in the European community. In 1953 Elmar Tophoven, a graduate student in Paris, became an advocate of Beckett’s after seeing a production of Godot at the Théâtre de Babylone. Shortly after, the play was performed in Zurich. It was then translated into different languages, mostly English and French, but there was a performance at the Teatro di Via Vittoria in Rome that was performed in Italian. The first English translation was directed by Peter Hall and was performed in London at the Arts Theatre Club. Alan Schneider was one of the plays leading directors once it came to the United States. He saw the production in French and was incredibly moved by it even though he couldn’t understand the language. Schneider took the play to Miami in 1956 where it was unsuccessful. However, his direction of Beckett’s other works brought him notoriety in America. Waiting for Godot has also had success in Asia and South Africa. The play was first brought to Japan by critic and translator Yasunari Takahashi. Its staging was greatly influenced by aspects of Japanese traditional Noh theatre. 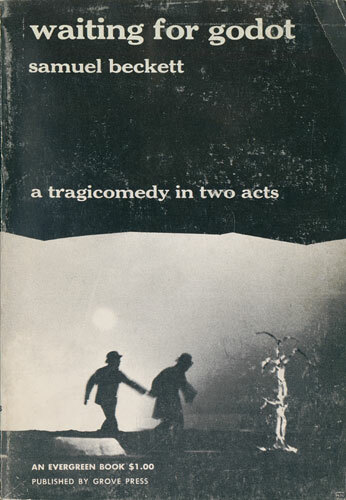 In 1962 the play was performed in South Africa with black African performers and was directed by Athol Fugard, a South African playwright and admirer of Beckett’s work. Godot has also been well received in Israel where its implications to the holocaust and Judaism have not gone unnoticed. In 1984 it was performed at the Haifa Municipal Theatre and was directed by Ilan Ronen. The Israeli actors in the play delivered their lines in Hebrew and Palestinian Arabic (Brater 145-158). However, in Someone is looking at me still: The Audience- Creature Relationship in the Theatre Plays of Samuel Beckett, author Matthew Davies conveys that Beckett’s work is challenging for audiences because it possesses qualities that disregards them. Davies describes actor Peter Bull’s recollection of a production in which several hostile audience members exited before the play even ended. While Godot was seldom without accolades in theatrical review, there were some audiences who sat dumbfounded during performances, unable to make sense of what was taking place on stage. Perhaps they were expecting the moral lessons that Beckett was always so hesitant to give. Davies goes on to elaborate upon alterations in the relationship between Beckett and his audience, which he says took place in three sequential movements related to Beckett’s utilization of staging techniques. Intrinsic in Godot, is Beckett’s exploration of relationships between the audience and the characters onstage. He infuses the play with a kind of unprecedented theatricality which makes it’s staging almost interactive. Beckett’s theatrical knowledge is significant because most of his staging directions suggest a desire to distance the audience from the stage in an effort to maintain a sense of theatrical illusion, an illusion I believe to be very symbolic and in accordance with the themes in his work (Davies 76-93). But how does this inform our understanding of Beckett’s Irishness? Does the international success of the play; it’s themes and his ambivalence towards his audience serve as a reliable measurement of his Irishness? As stated before, Beckett was opposed to the Irish Literary Revival. It should be noted that during this time there was an obvious absence of Protestant Anglo- Irish representations on stage. Davies believes that inequalities between Catholics and Protestants in Ireland, may have led to Beckett’s disposition. Though a minority, Protestants in Dublin weren’t without power or political weight. They were a dominant force in the country’s economy. Catholics and Protestants were often separated by class and socio- economic status and often lived in separate neighborhoods. Davies describes the Anglo Irish as a people whose sense of identity derives from displacement and an inability to define themselves as neither Irish or British. He elaborates on some of the many ways scholars have gone about defining them, such as Gerald Dawe and Edna Longley, who focus on socio-political and religious aspects as grounds for definition. He then gives some compelling information on Vivian Mercier’s categorization, which is primarily concerned with Anglo- Irish distance from the mainstream population, distance which may have originated when they first came to Ireland. Davies goes on to say that it has been a long held myth that Protestants are relatively silent in relation to Catholics and have been described as lacking performative qualities. However, Protestants themselves have admitted to valuing their silence especially during the Irish Independence and The Civil War (Davies 76-93). In Waiting for Godot Beckett utilizes silences repeatedly. In fact, there are very few plays that command so many of them in and outside of spoken dialogue. It’s possible that Beckett may be commenting on Protestant Anglo- Irish aspects. If this is the case then it is indicative of the way Ireland may be represented in his other works. Scholars may overlook Beckett’s inclusion of Ireland if they are searching for anything overt or obvious, but rather Ireland can be found in the subtleties, the silences, the subtext (Brater 145-158). “We propose to have performed in Dublin, in the spring of every year, certain Celtic and Irish plays, which whatever be their degree of excellence, will be written with a high ambition, and so to build up a Celtic and Irish school of dramatic and Irish literature. We hope to find in Ireland an uncorrupted and imaginative audience trained to listen by its passion for oratory, and believe that our desire to bring upon the stage the deeper thoughts and emotions of Ireland will ensure for us a tolerant welcome, and that freedom to experiment that is not found in England and without which no new movement in art or literature can succeed. We will show that Ireland is not home of buffoonery and of easy sentiment, as it has been represented, but the home of ancient idealism” (ix). When the manifesto was written, Ireland, which had originally been a colony governed by England, was now an independent republic with an increasing population and a globalized economy. Yet it’s theatre was still heavily influenced by other parts of Europe. This resulted in the perpetuation of what is known as: the Irish quality, characterizations exemplifying drunken behavior, foolishness and sentimentality. These depictions were believed to help foreign audiences identify Irish characters but only resulted in caricature- like portrayals (xi). The manifesto was intended to end these representations and present plays that would reflect aspects of Irish culture, politics and values in more truthful ways. However, it did not indicate what themes national drama should expound upon or what function drama would have in Irish society. The historical context in which it was written implies a national drama that would confront Irish stereotypes. But who’s to say that in the dismantling of stereotypes, new one’s wouldn’t just take their place? How can a newly independent country that has been profoundly influenced by England and has, in many ways, viewed itself from a largely English perspective, create theatre that isn’t somehow impacted by it? The notion of developing a school of dramatic literature that is uniquely Irish must rely upon thorough and definitive conclusions about Irishness and Ireland. Drama attempting to confront inaccurate Irish portrayals prolonged under British colonialism would need to present plays in which Irish characters behave in unexpected ways, but not so much as to not be recognized as Irish. This is where the problem lies. How does a playwright go about creating a character that does not behave in stereotypical ways but can still be recognized as Irish, not only by Irish audiences but international ones as well? If the idea is for Irish characters to behave in unexpected ways, then perhaps there is good reason to give Beckett a central position in Irish studies. For his characters, though they are not Irish, behave in ways that are not confined to notions of Irishness. If the idea is to create drama which lends itself to Irish culture explicitly, it may be necessary to utilize at least some generalities to aid audiences in recognizing Irish characters, which would only perpetuate the stereotypes that a national drama is intended to disassemble. Stereotypes, though they have mostly negative connotations, can also be positive. A reading of Synge suggests that all Irish people speak poetically; Yeats implies that Irish writers are incredibly symbolic in their approach to drama and O’ Casey, that to be Irish is to be political. These implications may be in favor of a country or against it depending upon who accepts or rejects them as truth. The primary concern here is that there is a thin line between reality and belief; not only in regard to what other nations believe about a country, but what that country believes about itself (Harrington 525-530). The manifesto describes Ireland as the home of ancient idealism, which is informative because it gives some insight into dramatic themes that could be used in the development of an Irish national drama. The word: “ancient” suggests Irish folklore and mythology as possible starting points. If this is the case, then Irish playwrights have something to build upon. But this scenario requires further interrogation. If in fact Irish dramatic literature should expound upon folklore and mythology, then how does a nation go about attracting its playwrights to these topics? How important is ethnicity in relation to their use? Is it necessary for the playwrights expounding upon them to be Irish? Can writers of other nationalities handle them with equal success? In France, Beckett was largely considered to be a Frenchman because he spoke and wrote in the language. Should this logic be applied to his status in Irish studies as well? If so, then the mere fact that he was born, raised and educated in Dublin isn’t enough for him to be claimed by Ireland, meaning that a definition of: “Irish” is dependent upon the role of Irish culture in the personal and professional life of a given author. This means that a foreigner, say an African playwright such as Wole Soyinka, can go to Ireland, speak and write in the language, expound upon Irish folklore and mythology and be claimed by Ireland in the same way Beckett was claimed by France; albeit the interplay between Irishness and “African-ness” would undoubtedly become an obstacle. Nevertheless, these questions represent the subtext that exists beneath the search for manifestations of Ireland in Beckett’s work. This subtext is important because it yields information about bias in the way his nationality is measured. In What Should the Subjects of National Drama Be? Author John Eglinton argues that Irish writers have no advantage over non-Irish writers when it comes to use of ancient Irish legends. He notes that because the legends are so environment specific it may be difficult for them to be modernized. He suggests that they be studied and allowed to influence rather than dictate. He goes on to say, “Ireland must exchange the patriotism which looks back for the patriotism which looks forward” (Eglinton 411). For Eglinton, a national drama is dependent upon a theatre which derives from universal concerns, concerns which are not all that different from those prevalent in Beckett’s work. He writes “ . . . literature must spring from a native interest in life and its problems . . .” (412). “English as spoken by educated Irishmen differs from that spoken by Englishmen chiefly by reason of the difference in quality of voice between the two countries; in difference in inflexion or intonation and accentuation; in use of expressions which show the subtle Gaelic mind vainly struggling for expression through an unsympathetic medium” (415). For Fay, language is key to not only insuring the true independence of Ireland but also freeing its inner spirit, which he felt could only fully be expressed in its native tongue (415-417). But is the Gaelic mind that he refers to confined to the Irish dialect? Can it also be expressed through use of other languages? In other words, is the Gaelic mind less Gaelic when it is expressed through alternative linguistic mediums such as English, or in Beckett’s case, French? What is the Gaelic mind? Is it a point of view? Is it a collective state of being? How does the Gaelic mind develop? Beckett didn’t leave Ireland until he was an adult, which means that all of his childhood memories, his relationships and his most meaningful experiences were in Ireland. In the reading of his work are we witnessing the expression of the Gaelic mind in an alternative medium? Or does Beckett’s disposition on the country and his subsequent assimilation into another culture cause this unique way of thinking to expire? Fay’s use of this term compels an exploration of individual versus collective experience, which has long been the subject of sociological argument. The primary concern has been over which should take precedent in a nation. In the early twentieth century, newly independent Ireland was less concerned with the individual and more concerned with the country as a whole. The national drama that the 1897 manifesto advocates is firmly rooted in nationalism, which can be both political and cultural. “Political nationalism takes place when a native population or spokesperson for a native population organizes resistance to outside government” (Harrington xii). Since, at the time, Ireland was a newly independent republic it’s focus was on drama that would perpetuate national causes, most of which was the development of Ireland’s self image. The Abbey Theatre was at the heart of the Irish Literary Revival and would serve as the spokesperson for the native population i.e. the citizens of Ireland (xii). The resistance would be geared towards the impact of British colonialism. The manifesto itself suggests that this was an underlying objective and there were in fact many plays produced at the Abbey that in one way or another attempted to achieve this, sometimes to the disdain of the audience. For instance, Irish playwright Sean O’ Casey received mostly negative feedback for his play The Plough and the Stars because it included a character that was a prostitute. Audiences argued there “were no prostitutes in Dublin” (Harrington x). In 1958 O’ Casey’s play The Drums of the Father was also criticized, this time by the Catholic Church, the play was described as immoral, leading him to withdraw it. It wasn’t long after this that Beckett banned his work from being produced in Ireland, saying until “ . . . such conditions [no longer] prevail” (xi). The second kind of nationalism is cultural. It is defined as the process of organizing “ . . . for a native population, a sustaining image of itself, its uniqueness and its dignity, contrary to the subordinate and submissive identity nurtured by external, foreign administration” (Harrington xiii). The primary aim of cultural nationalism is to rescue and preserve the values and traditions of an indigenous culture that has been repressed by foreign colonialism. In this instance, the Abbey theatre is developing for the people of Ireland, a sustaining self image, one which undermines, or attempts to undermine the impact of that which has been imposed upon it (xiii). As the manifesto states, Lady Augusta Gregory and her contemporaries wanted to train Irish audiences to be uncorrupted and imaginative with a passion for oratory; thus indicating that they were somehow lacking in this qualities. The word “train” suggests authority and requires that an individual or group of individuals possess the power to define a nation as a whole, this process of defining involve elements of reduction and selection, or determining what represents the country and what does not. Those with the power to define would need to evaluate various aspects of Irish society, in an effort to determine which specific segment should serve as the “authorized emblem of the nation”(x). However, no one has been able to state conclusively what this emblem is. Is Ireland’s true face rooted in the Celtic traditions or in the peasantry? What does it mean to be Irish? Is Irishness indelibly connected to patriotism? Religion? Politics? Each of these characteristics continue to be factors in Irish drama, but none of them have been exclusively identified as the ultimate symbol for Ireland. The manifesto of 1897 was written with marvelous intention and the Abbey Theatre produced some of the most prolific Irish writers in Irish dramatic history, O’ Casey, Synge, and Yeats. But I believe it failed to achieve its goal, for the goal was one that can never be achieved, not until the Irish experience is endowed with all the complexities of the human experience. Theatergoers don’t want drama that simply shows a reflection of facts, such as country, language, race or politics. They want possibilities, an emphasis on the aspects of human nature that aren’t easily defined. In addition to this, audiences don’t want to watch drama that implies they need to be changed, trained or given a sense of self, nor do they want to be made to feel as though they have all the answers. At the heart of good drama is good questions like: “How Irish was Beckett?” which may never be answered, but nonetheless offer knowledge. Drama asks questions and enlightens its audiences by asking, by acknowledging the unknowable. With that being said, it’s no surprise that Waiting for Godot has been endowed with all sorts of political and cultural implications, ones which Beckett himself has often rejected. In South Africa, the play is about apartheid, in Israel, the holocaust and relations between Palestinians and Jews. It is the lack of conclusions and resolve that Godot offers which makes it so accessible to domestic and foreign audiences alike. Today, contemporary Irish drama, though incorporating some of the same dramatic techniques prevalent in the works of Yeats, Synge and O’ Casey, is generally broader and continues to be influenced by England and other parts of the world. There have been productions of Yeats plays in Asia utilizing aspects of the Noh theatre he was intrigued with, and authors, such as Conor McPherson, have had several productions of their plays in America and around the world. The consensus seems to be that Ireland as a nation is and will continue to be impacted by other nations, especially England. Perhaps this is one of its greatest qualities; that it is able to blend with aspects of English culture, whilst still retaining its distinctiveness. But where does this leave Beckett and his categorization in Irish studies? Culturally, Beckett is prominently placed in Ireland, but academically he remains on the sidelines; it is most likely that he will continue to be, well into the twenty- first century. On some level, it seems as if no country can truly claim him as its own, not even France. Yes Beckett spoke and wrote in the language. But how much of France is actually in his work? McDonald says that one of the reasons academia is reluctant to place Beckett with other Irish authors is that he is sometimes viewed as insufficiently political. If this serves as reasonable grounds for definition, then the same logic can be applied to his status in French studies. The language aspect is a significant factor, but Beckett didn’t write exclusively about France or it’s politics, thus making him not really French; at least not theoretically (McDonald 1-30). The inability to arrive at a simple conclusion about Beckett’s contribution to Irish drama demonstrates that the issue is not a simple one. It may be that his willingness to leave Ireland and depart from conventional Irish ideals is perhaps his biggest contribution because it sets a precedent not only for Irish dramatists but the Irish as a whole. 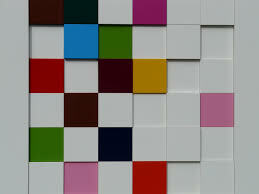 It demonstrates that the individual must have an active role in how he or she chooses to define. Notions of Irishness and non Irishness must not be narrow or defined through external examinations, nor can one determine whether a person is Irish simply by scanning their works for Irish cultural references, but rather, a man or woman must determine for his or herself what it means to be Irish. Beckett made his choice. If the goal of the manifesto is indeed national independence, then it contradicts itself, for both national independence and individual independence need each other to exist. “I had a dream one night and I made Cathleen ni Houlihan out of this dream. But if some external necessity had forced me to write nothing but drama with an obvious patriotic intention, instead of letting my work shape itself under the casual impulses of dreams and daily thoughts, I would have lost in a short time, the power to write movingly upon any theme. I could have aroused opinions; but I could not have touched the heart . . .” (413). Yeats, a prominent figure in Irish studies, though he also experienced success in England, considered him self to be a nationalist. Any reading of Cathleen Ni Houlihan will confirm this. George Bernard Shaw said it might encourage men to go out and do something irrational. Yet here we have Yeats saying that although he loves Ireland and believes she does in fact deserve to have a theatre in which her values are reflected, it shouldn’t be at the expense of individuality or the autonomy of the playwright. Being forced to incorporate specific themes into a play diminishes the quality of the work and sets the precedent for loss of freedom in other areas of a society. A writer should be defined by his or her philosophy, for it is this that shapes the playwright’s aesthetic. When we think of Beckett, we should allow his language and perspective on human existence to shape our perception of him. In his ability to depart from Irish culture in it’s obvious form and not simply focus on race or nationality in his work, he has paved the way for other playwrights, actors and artists in and outside of Ireland to do the same. What more pride could a country have than to see one that was born and raised in its borders and educated in its schools, go on to become one of the most prominent writers of his generation? With the universality of themes in his work, his ability to connect with other languages and cultures, Beckett has freed himself from the confines of being a national symbol. It is this that is his biggest contribution to Irish drama, to Ireland, and might I add, to me. Beckett, Samuel. Waiting for Godot: A Tragic Comedy in Two Acts. Trans. Samuel Beckett. New York: Grove Press Inc., 1954. 1-4. Print. Davies, Matthew. “Someone is looking at me still: The Audience –Creature Relationship in the Theatre Plays of Samuel Beckett.” Texas Studies in Literature and Language 51.1 (2009): 76-93. Humanities Module, ProQuest. Web. 20 Nov. 2011. Eglinton, John. “What Should the Subjects of National Drama Be?” Modern and Contemporary Irish Drama. 2nd ed. Ed. Harrington, John P. London: W.W Norton & Company Inc., 2009. 410-412. Print. Enoch, Brater. “The Globalization of Beckett’s Godot.” Comparative Drama 37.2 (2003): 145-158. Arts Module, ProQuest. Web. 18 Nov. 2011. Fay, Frank J. “An Irish National Theatre.” Modern and Contemporary Irish Drama. 2nd ed. Ed. Harrington, John P. London: W.W Norton &Company Inc., 2009. 415-417. Print. Harrington, John P., “The Irish Beckett.” Modern and Contemporary Irish Drama. 2nd ed. Ed. Harrington, John P. London: W.W Norton & Company Inc, 2009. 525-530. Print. McDonald, Ronan. “Groves of Blarney: Beckett’s Academic Reception in Ireland.” Plural Beckett Pluriel: Centenary Essays/ Essais d’un Centenaire. Eds. Paulo Eduardo Carvalho and Rui Carvalho Homen. Porto: Flup e-Dita, 2008. 33-51. Print. Morin, Emilie. Samuel Beckett and the Problem of Irishness. Basingstoke: Palgrave Macmillan. 2009. 2-33. Print. Wilson, Edwin, and Goldfarb, Alvin. “Introduction to Krapp’s Last Tape by Samuel Beckett.”Anthology of the Living Theatre. 3rd ed. Ed. Emily Barrosse. New York: McGraw- Hill, 2008. 447-450. Print. Yeats, W.B. “An Irish National Theatre.” Modern and Contemporary Irish Drama. 2nd Ed. Harrington John, P. London: W.W Norton & Company Inc., 2009. 413. Print.